United States Steel Corporation founded Gary, Indiana in 1906 – naming it after co-founder Elbert Henry Gary – and the city's fortunes have been closely tied to the company ever since. But it's now clear those hopes will not translate into new steel jobs, even after the city and state offered the firm a $47 million tax break package. Gary's dimmed hopes for a tariff-driven renaissance underscore how the policy has so far provided a windfall for U.S. steel firms but only a marginal benefit to workers and struggling steel towns. Steel industry employment nationwide increased by 1,000 jobs to 83,400 between March, when tariffs where imposed, and November, according to the latest available data from the U.S. Bureau of Labor Statistics. In a statement to Reuters, Trump's Commerce Department called the 1.2 percent increase a "welcome change from decades of decline and layoffs" and said "many more" jobs would be created as planned industry investments and expansions are completed, without specifying how many. "Improving efficiency is important and was one of the goals of the tariffs," a department spokesman said of the Gary investment. "We are glad to see the American industry is making investments that will protect their long-term viability and ensure a strong domestic supply." The state of Indiana's investment of $10 million in tax credits, along with $2 million in worker training grants, comes with the condition that U.S. Steel retain at least 3,875 jobs at Gary Works. But a state spokesperson declined comment on whether the company could still collect part of the incentives if the number of jobs falls below that threshold. 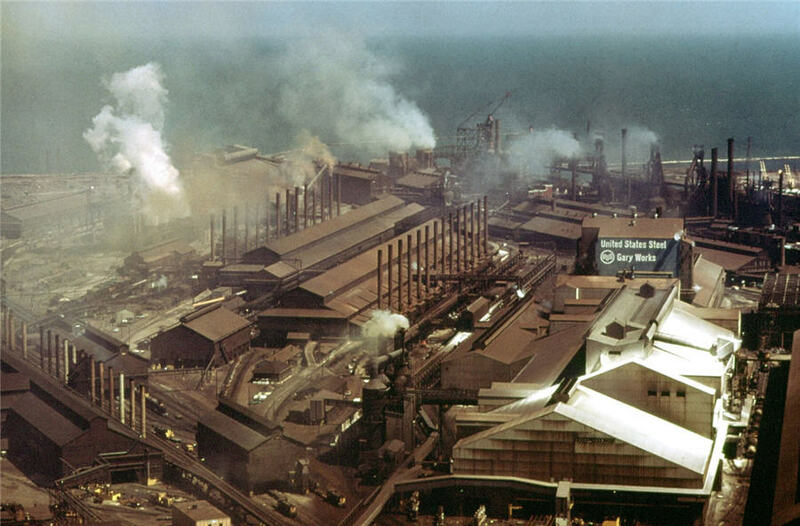 U.S. Steel Vice President Douglas Matthews acknowledged the modernization would cut costs and reliance on manual labor. Productivity improvements would likely results in a "decreasing headcount over time," he said. But without the investment, "then the business is at risk, and then you put all the jobs at risk," Matthews said in an interview. U.S. Steel's 2018 profits shot up to $1.12 billion, from $387 million the previous year. The tariff-driven windfall has allowed the company to spend $300 million buying back its own stock. Investors remain skeptical of the company's longer-term gains from tariffs, however. Despite recent gains after strong earnings, U.S. Steel's stock is down 51 percent since March 1, when Trump announced he would impose steel tariffs. That's in part because company's underlying weaknesses remain largely unaddressed: It has among the highest production costs in the world, according to data compiled by Goldman Sachs. Its revenue per employee pales in comparison with that of rival steelmaker Nucor Corp. And domestic steel prices, after rising with tariffs, are now drifting down amid rising supplies and slowing demand. Gary officials say the factory investment would bring the city about $1 million in new tax revenue, even after Gary allows the company to pay only half the property taxes associated with the upgrade. That will help close a city budget deficit of $14 million, they say, while giving some assurance that company won't abandon Gary entirely. "This deal is not going to make people move to the city. This is not going to cause a population growth and employment opportunities." The harsh realities of life in Gary make it easier to understand why officials would cut whatever deal they can to keep U.S. Steel. About a third of its citizens live in poverty, and the city has long had among the nation's highest murder rates. A fifth of its homes and half of commercial properties are vacant or abandoned. For Mayor Karen Freeman-Wilson, the incentives for U.S. Steel help ensure the city can retain its largest employer and taxpayer while providing an opportunity to re-engage the company in Gary's civic life. "When you see an investment of this magnitude, then you see that there is a plan for a continued presence here," she said. Trump's tariffs prompted U.S. Steel to hire back about 800 of those Granite City workers last year after restarting two furnaces there. But there's no such hiring plans for Gary. Gary's deal with U.S. Steel is more like the 2016 deal Indiana cut with United Technologies Corp with the help of public pressure on the company from Trump. The firm agreed to retain at least 1,069 workers at its Carrier unit in Indianapolis instead of moving the jobs to Mexico, a deal that also included no new hires. Michael Hicks, a professor of Economics at Indiana's Ball State University, has examined the impact of such tax breaks on the state's public finances in the last decade. His study found that state incentives costing about $30,000 per job provided little benefit to Indiana's economy or tax base. But it's not a good deal, either, especially given the limited economic impact, Hicks said. "It is a fifty percent tax cut for U.S. Steel to stay in Gary," Hicks said. "This deal is not going to make people move to the city. This is not going to cause a population growth and employment opportunities."